A Florida teacher’s resignation letter, in which she says she’s leaving a job she loves because of the state of the education system, has propelled her into the public eye. Wendy Bradshaw, who taught special education in the Polk County school district, resigned on Oct. 23 and posted her resignation letter on her personal Facebook page. In it, she explains her disappointment in recent education reforms and reflects on the changes she’s seen in her students. “I have become more and more disturbed by the misguided reforms taking place which are robbing my students of a developmentally appropriate education,” she wrote, referencing the best practices she learned while earning undergraduate, masters and doctoral degrees in the field of education. “The new reforms not only disregard this research, they are actively forcing teachers to engage in practices which are not only ineffective but actively harmful to child development and the learning process,” she added. Her Facebook post has been shared more than 67,000 times since it was posted and has garnered more than 9,000 comments. In the post, Bradshaw goes on to describe her students crying out of frustration as they attempt “tasks well out of their zone of proximal development.” She also laments not having enough time to focus on behavioral issues in the classroom because the curriculum is too regimented. Though Bradshaw was talking specifically about her experience in the Polk County, Florida public education system, her message resonated with many beyond it. The comments appeared to come from across the country and even the world. Many of the commenters thanked Bradshaw for shining a light on the issue and cited similar issues with their local schools. Some also cited Common Core, a version of which Florida implemented in full this year. Others disagreed with Bradshaw -- either in stance or in her decision to leave. Alma Morales Potter, whose profile says she is a high school math teacher in Texas, faulted Bradshaw for leaving. “Students deserve teachers who will work within the imperfect system and not bail when it doesn’t meet the expectations we had before we started teaching,” she wrote. 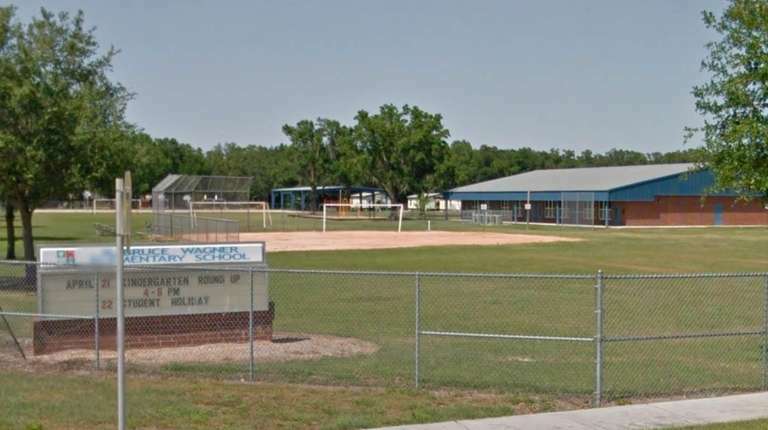 The Ledger, a Lakeland, Fla. newspaper, reported that Bradhaw worked at the R. Bruce Wagner Elementary School.